Where? Room H116, Middlesex University, Hendon Campus, London, NW4 4BT In some reckonings, ‘close reading’ is now around 90 years old, having been inaugurated in I. A. Richards’ Principles of Literary Criticism (1926) and Practical Criticism (1929). The close reading of texts has become arguably the central activity of the humanities and close reading is carried out across different levels of education and through a number of disciplines. As its practitioners recognize, procedures of close reading can become ossified into routine practices of code identification rather than active interpretation. Cost: £10 flat fee (includes lunch and refreshments). The Language and Communication Research Cluster is pleased to announce its upcoming whole-day symposium on Close reading, codes and interpretation. In some reckonings, ‘close reading’ is now around 90 years old, having been inaugurated in I. A. Richards’ Principles of Literary Criticism (1926) and Practical Criticism (1929). The close reading of texts has become arguably the central activity of the humanities and close reading is carried out across different levels of education and through a number of disciplines. As its practitioners recognize, procedures of close reading can become ossified into routine practices of code identification rather than active interpretation. This symposium seeks to ask what ‘close reading’ is like now, how it is exercised in education at different levels and how it might differ from or resemble ‘codes’ of reading. The symposium will include presentations from academics as well as teachers in secondary education. The day will also include the launch of the undergraduate magazine Mesh and of the volume Critical Humanist Perspectives: The Integrational Turn in Philosophy of Language and Communication, edited by Adrian Pablé (Routledge, 2017). More information and a full day schedule to follow. Our free conference for English teachers (mentioned in our previous post) is just under three weeks away. The last date to register is next Monday, 31st October. This will be a really fun and useful event. Teachers always respond positively to the opportunity to step outside the classroom to exchange ideas, to hear about current research, and to consider how to apply some of these ideas in class. Some of the sessions will focus on developing specific resources and activities for class. 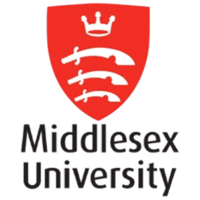 This year, the conference takes place the day before the NATE (National Association for the Teaching of English) post-16 conference, New Directions in Post-16 English, which is also being hosted at Middlesex. If you can spare two days, why not come to both? If you’re already coming to one, maybe you could take an extra day to attend the other event. Hope some more teachers out there can join us.